In the inbound world, these are words to live by. After all, blogs help businesses attract new website visitors and convert them into leads. 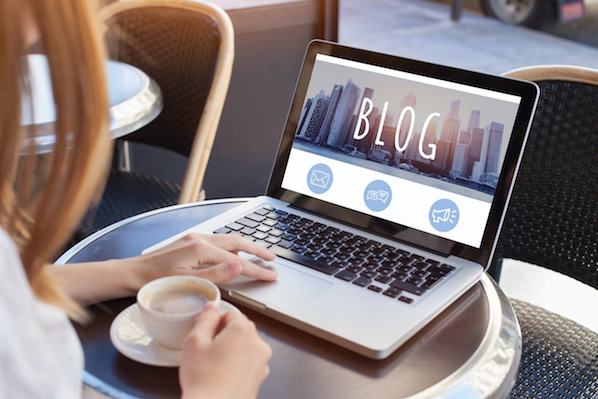 Each time you publish an original blog post, you're creating a new opportunity to get found in search engines, get shared on social media, get linked to by other sites, and get a new person to interact with your company. 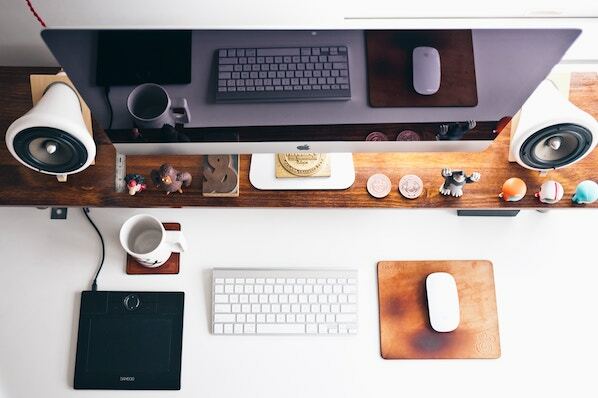 The question is, how often does a company need to blog? To help answer this question, we pulled some blogging data from HubSpot's 13,500+ customers. 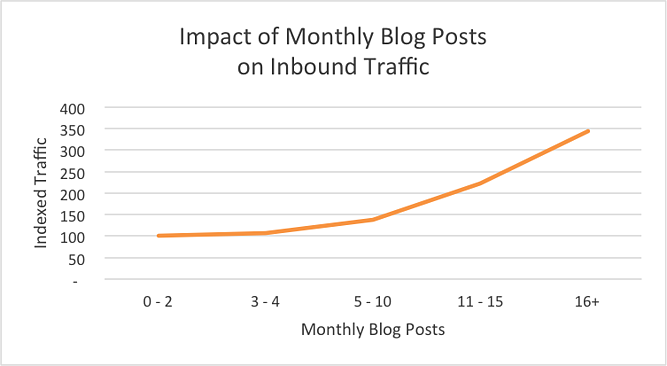 Below are a few charts and stats to help you understand how the number of blog posts published monthly and in total can affect traffic and leads, depending on company size and business type. If you're looking for more benchmark data on blogging and content strategy, check out our ultimate list of marketing statistics. Want to learn and apply content marketing to your business? 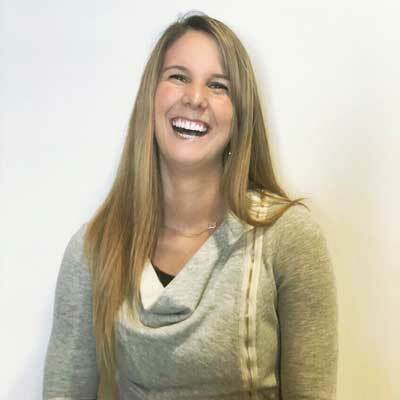 Check out HubSpot Academy's free content marketing training resource page. 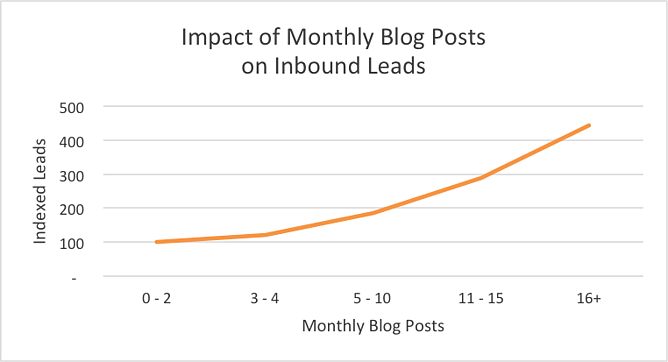 How Many Blog Posts Should You Publish Every Month? As you lay out your editorial calendar, you're thinking hard about your monthly traffic and leads goals -- and how many blog posts you'll need to publish to hit them. Below is some data to help you figure out what type of publishing volume your business should try. 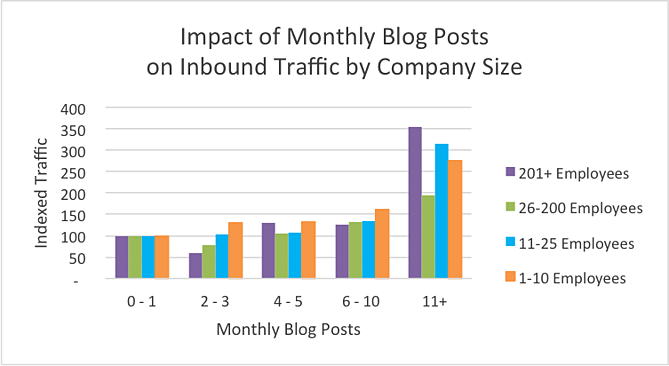 The charts below show the impact that the number of published blog posts per month has on inbound traffic -- overall, split up by company size, and then divided up by B2B and B2C companies. As expected, we found that the more blog posts companies published per month, the more traffic they saw on their website. Companies that published 16+ blog posts per month got almost 3.5X more traffic than companies that published between 0 - 4 monthly posts. When you segment the above results by company size, the results get even more interesting. Companies with 1 - 10 employees: The small companies that publish 11 or more blog posts per month drive much higher traffic than companies of the same size that publish fewer than 11 blog posts. Those that published 11+ posts per month had almost 3X more traffic than companies publishing 0 - 1 monthly posts, and about 2X as much traffic as those publishing 2 - 5 monthly posts. Companies with 11 - 25 employees and 201+ employees: Like the companies with 1 - 10 employees, comanies with 11 - 25 employees saw the largest jump in traffic numbers when they published more than 11 blog posts per month. In fact, when the companies with 201 or more employees published 11+ monthly posts, they got 3.5X more traffic than those publishing 0 - 1 blog posts per month. Companies with 26 - 200 employees: The larger companies that published 11+ blog posts per month had a little less than 2X more traffic than those publishing 0 - 1 posts per month. For our customer base, both B2B and B2C companies had more inbound traffic to their websites the more blog posts they published. For B2C companies, there was a steady positive correlation between the number of posts and traffic. Results for B2B companies were a little different -- though there is a positive correlation between more posts and more traffic, the differences in results between each of the different volume categories are smaller. For example, you'll notice traffic was only slightly higher for B2B companies publishing 6 - 10 monthly posts versus 0 - 1 monthly posts. 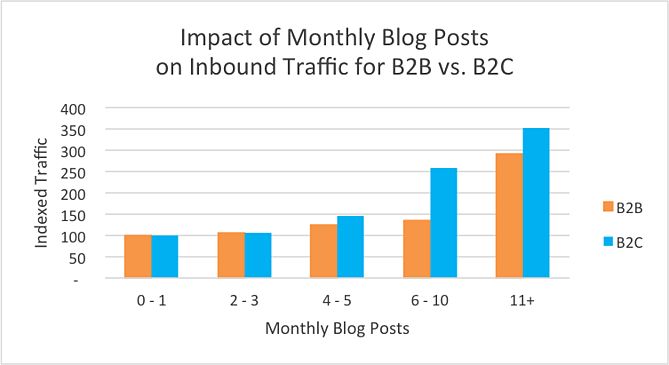 But when we look at the 11+ frequency, the results increase quickly: B2B companies that blogged 11+ times per month had almost 3X more traffic than those blogging 0 - 1 times per month. 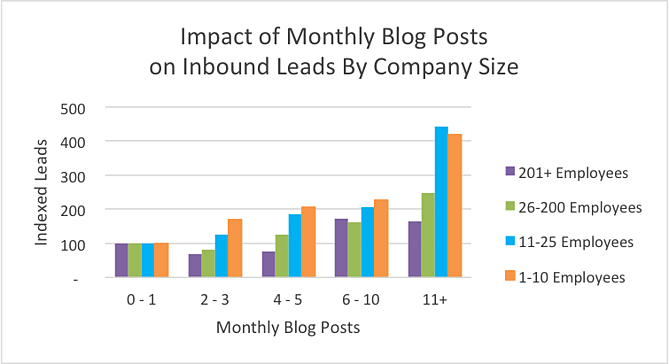 The charts below show the impact that the number of published blog posts per month has on lead generation -- overall, divided up by B2B and B2C companies, and split up by company size. For our customer base, we found that an increased blog post publishing frequency correlated with more leads generated. Companies that published 16+ blog posts per month got about 4.5X more leads than companies that published between 0 - 4 monthly posts. Companies with 1 - 10 employees and 11 - 25 employees: These companies saw the highest return on leads when they blogged more than 10 times per month. When they published 11+ blog posts per month, they generated almost twice as many leads as companies that published 6 - 10 blog posts per month. Companies with 26 - 200 employees: For these companies, blogging 11+ times per month generated about 2.5X more leads than blogging between 0 - 3 times per month. Companies with 201+ employees: These companies generated the most leads when publishing 6 or more posts per month. The companies that published 6 or more monthly posts generate about 1.75X more leads than those that published between 0 - 5 monthly posts. 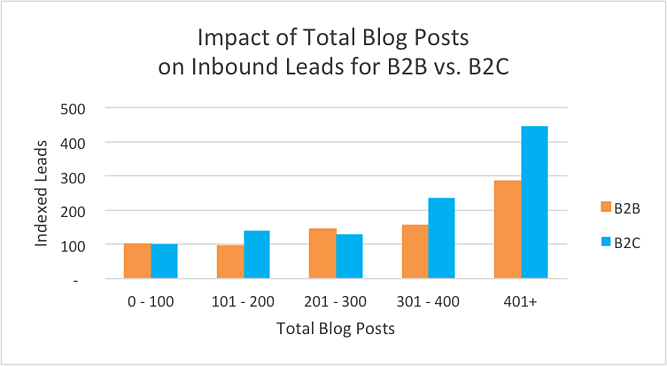 For our customer base, both B2B and B2C companies got more inbound leads the more blog posts they published. There was a significant difference in lead generation for B2C companies publishing 11+ monthly posts versus 10 or fewer. B2C companies that blogged 11+ times per month got more than 4X as many leads than those that blog only 4 - 5 times per month. For B2B companies, the different in lead gen was less, but still pronounced. 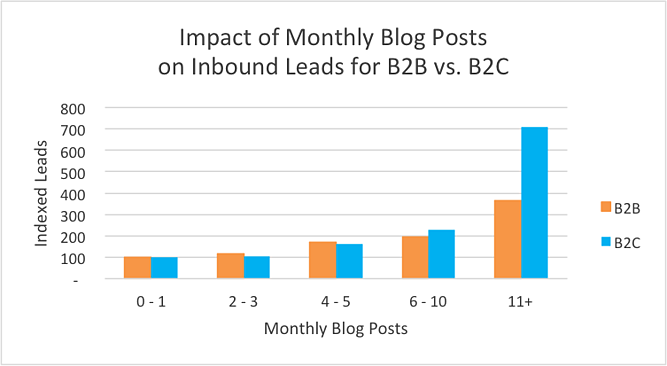 B2B companies that blogged 11+ times per month got about 1.75X as many leads as those blogging 6 - 10 times per month, and about 3.75X as many leads as those blogging 0 - 3 times per month. Does the Number of Total Published Blog Posts Matter? One of the best things about business blogging is that your posts will continue working for you long after they're published. If you're producing relevant, valuable content, then people will find your old blog posts in search, on social media, and through links on other websites -- and some of those visitors could convert into leads. For instance, when we analyzed our own blog's lead generation, we found that over 75% of our blog views and 90% of our blog leads came from old posts. Pretty crazy, eh? Turns out you can generate real results from old content -- and the more you publish, the more old content you'll have that'll get you traffic and leads over time. But don't just take it from us. What about our 13,500+ customers? Let's dig in to their data and see how the total number of blog posts affects traffic and leads. 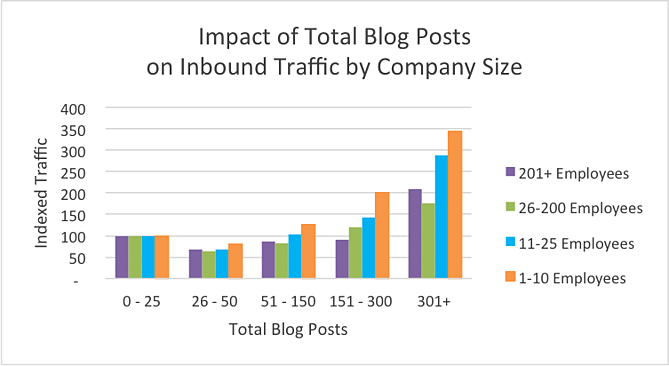 The charts below show the impact that the total number of published blog posts has on inbound traffic -- overall, divided up by B2B and B2C companies, and split up by company size. For our customer base, we found that the more blog posts companies published in total, the more inbound traffic they got to their website. You'll notice the tipping point happened around 400 total blog posts: Companies that had published 401+ blog posts in total got about twice as much traffic as companies that published 301 - 400 blog posts. Companies with 1 - 10 employees: These companies saw the highest traffic when they had published over 300 blog posts in total. Those that published 301+ total posts got almost 3.5x as much traffic as those that had 0 - 50 posts. Companies with 11 - 25 employees: These companies also saw high traffic when they had published over 300 total posts. 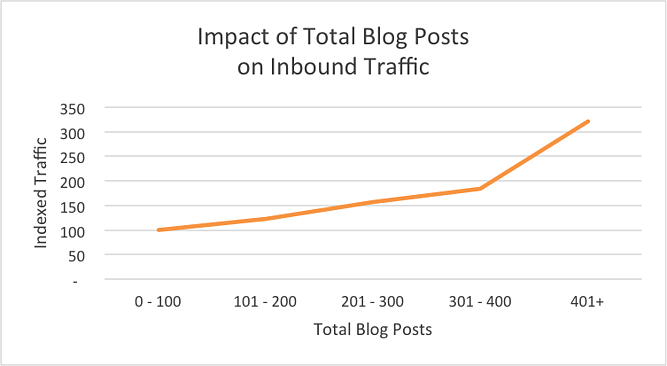 Those with 30+ total published blog posts got 2.75X as much traffic as those with 0 - 150 total posts. Companies with 26 - 200 employees: These medium-sized companies got over 1.5X more traffic when they had 300+ total blog posts versus 0 - 150. Companies with 201+ employees: The larger companies that had 300+ total posts got over 2X more traffic as the ones that had published between 0 - 300 posts. For our customer base, both B2B and B2C companies got more traffic to their websites when they had published 401+ blog posts. The difference in traffic numbers was more pronounced for B2C companies having over 400 published posts. Specifically, B2C companies that published 401+ blog posts total had about 2.5X as much traffic as B2C companies with 301 - 400 total posts. For B2B companies, those that published 401+ blog posts had over 2.5X more traffic than B2B companies with 0 - 200 total posts. 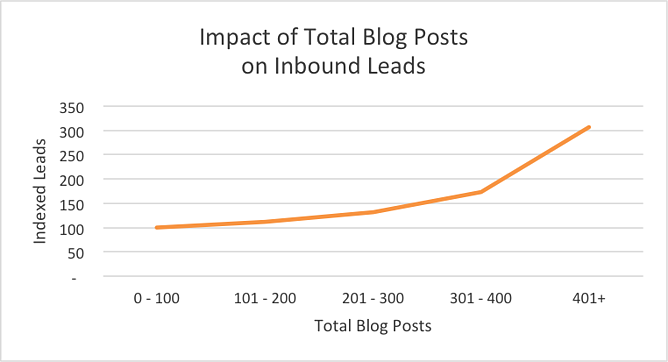 How does total number of published blog posts affect lead generation? The charts below show the impact that the total number of published blog posts has on lead generation -- overall, divided up by B2B and B2C companies, and split up by company size. For our customer base, we found that the more total blog posts companies published, the more leads they generated. Companies that published 401+ total blog posts got over 3X more leads than companies that published between 0 - 100 total blog posts. Companies with 1 - 10 employees: These companies saw the highest number of leads from publishing 300+ total blog posts. Companies that published 301+ total blog posts got more than 3.5X as many leads as those that published 0 - 50 blog posts. Companies with 11 - 25 employees: These companies also saw an increase in number of leads from publishing 300+ total blog posts. Companies that published 301+ total blog posts got more than 2X as many leads as those that published 151 - 300 blog posts. Companies with 26 - 200 employees and 201+ employees: Among these companies, those that published 300+ total blog posts got 1.5X as many leads as those that published between 0 - 25 blog posts. For our customer base, both B2B and B2C companies generated the most leads when they had published 401+ blog posts. The difference in lead generation numbers was more pronounced for B2C companies that published under 400 versus over 400 total blog posts. Specifically, B2C companies that published 401+ total posts generated 4.5X as many leads as B2C companies that published 0 - 100 total posts. For B2B companies, those that published 401+ total blog posts generated almost 3X as many leads as B2B companies that published 0 - 200 total posts. 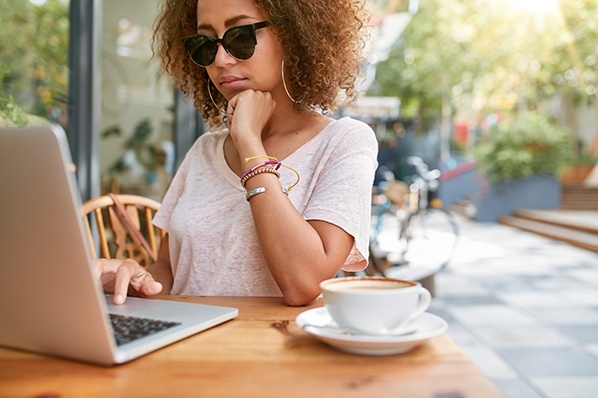 Overall, companies that make a commitment to regularly publish quality content to their blogs tend to reap the biggest rewards in terms of website traffic and leads -- and those results continue to pay out over time. Want to learn more about how you can boost your blogging frequency? Read this post for tips on thinking up a year's worth of blog posts in an hour.